Mobile payment methods continue to soar in popularity in the UK following the introduction of new players such as Apple Pay, Android Pay and Barclay’s Pingit. Together, with the anticipated launch of Samsung Pay coming soon to the UK, this is further lessening the country’s dependency on cash. The latest digital money index from Citigroup and the Imperial College London[i] showed the UK to have the biggest uptake in the past year. Mobile payments initially took longer to take off than predicted. Sceptics were unsure if we would ever reach this level of popularity – writes Ralf Ohlhausen, Business Development Director at PPRO Group. Whilst the UK seems to be leading in the adoption race, with 74% managing money and making payments using a mobile device respectively[ii], Europe has seen a threefold increase in the last year leaping to 54%, compared to 18% in 2015. A record breaking increase of 200%. So, mobile payments have finally reached the tipping point. 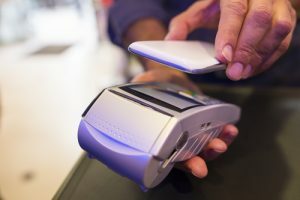 And with companies such as Apple and Samsung now getting serious about mobile payments it seems a fair bet that the pace of that change is about to accelerate. Apple Pay is currently rolling out to most major markets. Keeping pace with the rate at which consumers are starting to accept mobile payments as a method of payment around the globe. Given how often Apple has got it right before, particularly in terms of awaiting technology to mature and matching user expectations, there’s every reason to be optimistic this time too. Not only is this great news for mobile payments industry, but for the alternative-payment market as a whole. What about the Payment Service Providers (PSPs) and merchants who’ve been keeping their distance from mobile-payments? Well, the playwright Dürrenmatt famously said in his 1961 satirical drama The Physicists: “What has once been thought can never afterwards be unthought”. Dürrenmatt was referring to nuclear power, and its potential to benefit and harm mankind in the same stroke. While mobile-payments hopefully don’t come with the same potential for harm, the same principle applies. It’s here to stay. And merchants who listened to the sceptics and didn’t make mobile a priority need to start playing catch-up — fast. Merchants and PSPs need to work out how to offer the best possible mobile user-experience. There may be different ways to implement mobile payments — some better and some worse — but it is no longer about whether to include mobile or not. Those players that fail to do so will pay the penalty in the market. At the same time, we will be watching the Darwinian principle in action, sorting out the good mobile-payment implementations from the bad. This is a lesson for all of us in the industry. Generally speaking, most new technology follows Gartner’s hype cycle, i.e. gets hyped up first and then bashed down before it eventually matures and becomes reality. So, when the next big thing is announced, don’t get overly excited, nor overly pessimistic. Watch it going up and down the hype curve, investing when it reaches the “trough of disillusionment”, when everyone is quick to point out early failures, saying “it will never work”. As an industry, we’ve got to get better at recognising and embracing this cycle for what it is. We need to stick with good ideas, even when they don’t seem to be fulfilling their early hype. Usually, it’s just a matter of time and patience, particularly when consumer habits have to change, but no one wants to be the late adopter when, suddenly, everything starts coming together at last.